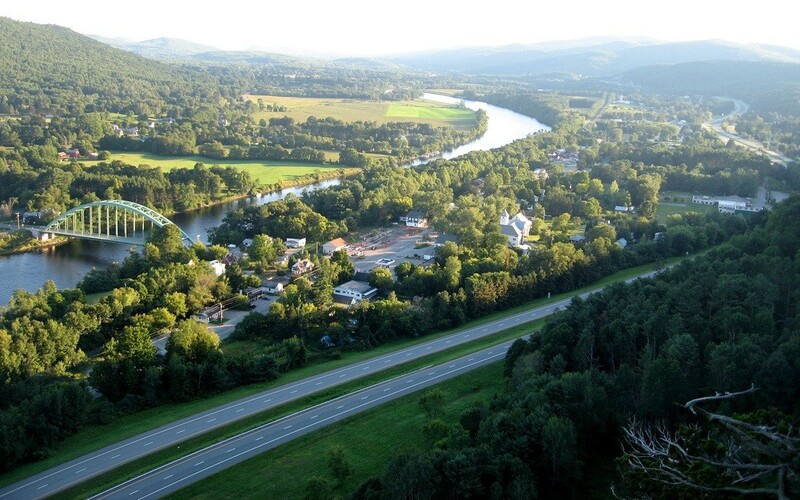 Orford, New Hampshire is – as yet – an undiscovered country village oozing New England charm, offering Connecticut River water access to boating and wetlands on its western village border with serenely scenic rolling hills leading to the White Mountains along its Eastern ridge. This unassuming gem of a hamlet appears surprisingly small and simple. But its long white fences, churches and a distinctive row of seven Federal-style mansions along an old river bank ridge nod to a time when the community supported not one, but four, general stores; a community attracting the likes of Daniel Webster and President Taft. Much like the old soil its sits upon, Orford remains as deep and strong as the nearby sturdy-flowing Connecticut River, comfortably embracing its residents like the arms of a favorite grandparent. Arrival in Orford is via “The Great Road,” one of New England’s most historic byways along the river, now known as “The Dartmouth Highway.” It begins near Dartmouth College in Hanover travelling north through picturesque Lyme, dog-legging that community’s village green before dipping down into the fertile Connecticut River Valley on its way to Orford and points north. Traveling this road by car or by road bike is the best way to meet the town. The road’s meandering slowness absorbs as it passes Colonial-era farmhouses with their plowed-through rich riverbed dirt, ready for hay and corn and summer vegetables. Old lilac trees and apple orchards mark current and former homesteads. There's more space here, more land, perhaps more places to imagine and build anew. Orford was first settled in the late 1700’s by those described by at least one historian as “entrepreneurial risk takers” who saw opportunities offered by river access, rich soil and deep forested hills. The river, which eventually flows through Massachusetts and Connecticut to Long Island Sound, was a perfect conduit for sending timber and other goods to the cities. Later, in the 1800’s, Boston’s educated urbanites found reason to settle here, building homes reflecting the architectural finesse of the age. Now, rolling into Orford from the South, there's no doubt of the sophisticated past, notwithstanding the farm mud covering present residents' Bogs rubber boots and Carhartt pants. Passing a very discreet “Orford, New Hampshire” sign coming into town, it is then hard to miss the white fences and endlessly green (or snow-covered) lawns looking up to seven white stately homes perched like sentinels along a distinctive ridge. Former Dartmouth Architecture Professor Hugh Morrison has described this row of architectural delights “the finest group of Federal-style homes in the U.S.” Whether you own one of these homes or buy close to them, they set the bar high. New England history and the Connecticut River provide the deep roots to daily life in Orford. For those looking for a complete quiet get-away and total privacy, they will find it here. While everything needed for modern life is just 20 minutes away, Orford seems timelessly separate, a place where the pace of life is still dictated by the seasons. Whatever the hobbies or pursuits – from farming to gardening to fishing to duck hunting to hiking, skiing or snowshoeing it is easily done in or around Orford, unfettered. No malls, no attractions per se, no tourists. Here you'll find the real deal: hardy New Englanders whether in fact working the land or simply in spirit, embracing the tough-minded values of a bygone age. That said, your don't have to go far for a 21st century culinary experience. Between Orford, Lyme and nearby Bradford, Vermont, foodies looking for local-fresh menus will find several of the most highly-rated farm restaurants in the region, including Orford's "Peyton Place." Beyond that, for easy breaks from Orford to hustle and bustle, simply cross the Connecticut River at several bridge points into Vermont for direct access to Interstate-91 and everywhere it goes. Head north to ski at Burke Mountain or drive to Burlington and Montreal. Or, head south on Interstate 91 just a half hour to all the conveniences, art events and shopping in Hanover and West Lebanon. If work calls, Interstate-91 gets you quickly to Dartmouth College, Vermont’s Veteran’s Administration Hospital and Dartmouth-Hitchcock Medical Center, which are a few of the Upper Valley area’s largest employers. Orford is also convenient to two main stand-alone Vermont shopping attractions: Bradford’s Farm-Way Store just over the bridge from Piermont and Norwich’s King Arthur Flour “mother ship" baking store and cafe. Interestingly, the ties between New Hampshire and Vermont along this section of the Connecticut River are so strong that the Rivendell Interstate School District has been created to take care of kids’ primary and secondary school needs. Other options for schooling include private schools in Lyme, NH and Thetford, VT. Kids raised in Orford will certainly understand and have ties to the land, much like the first settlers – from farms to wildlife to simply appreciating the land. Depending on where you choose to buy, build or live, families will find the freedom to run free a bit more than elsewhere in the world, kids letting their imaginations expand, building forts in trees or diverting streams along the riverbank, collecting purple lilac stems from the old bushes in spring, gathering apples in Fall and enjoying a quiet snowfall in winter. Adults and retirees are likely to find Orford at its best in summer, farm stands everywhere with fresh plump home-grown tomatoes just off the vine, toes and fingers trickling along the side of a boat in the Connecticut River or simply watching dragon flies flit about while enjoying a cool cocktail on a breezy porch or patio. As mentioned, the White Mountains and the Maine coastline are just a couple of hours away with incredibly scenic views along the way. 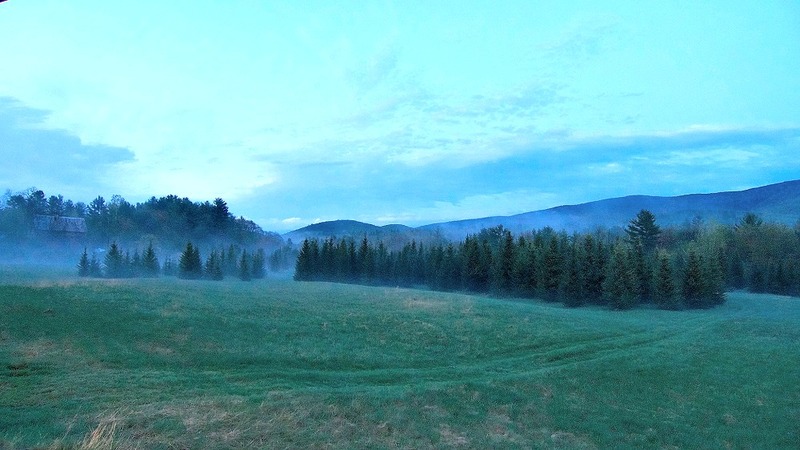 Orford, NH is probably one of the last remaining truly idyllic country villages, offering still-reasonably priced properties from elegant stately homes along The Ridge and Main Street to charming rustic farm houses ready for modern touches. Care is taken with this special fertile land and its properties – living pieces of history, homes ready for their next chapter.